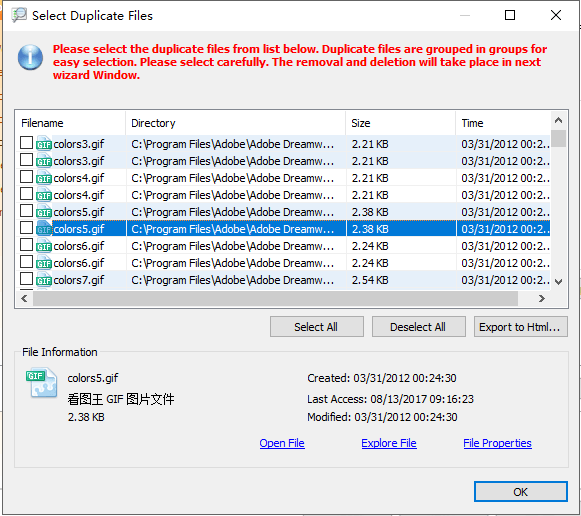 Duplicate Files as the name suggests are files with same name, same size, same time. 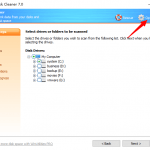 Your system may have many duplicate file that use your precious disk space. These duplicate files not only occupy your disk space but also make your system’s file access rate slow. Duplicate references are the major cause of human and program error. 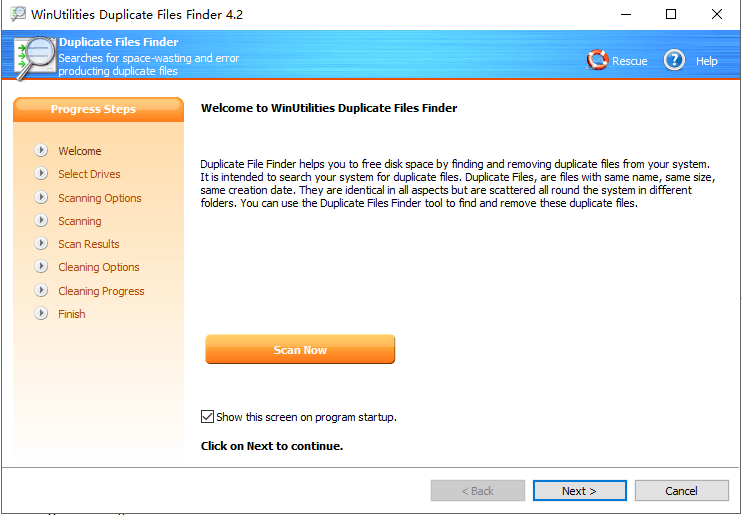 WinUtilities Duplicate File Finder helps you to free disk space by finding and cleaning duplicate files from your system. 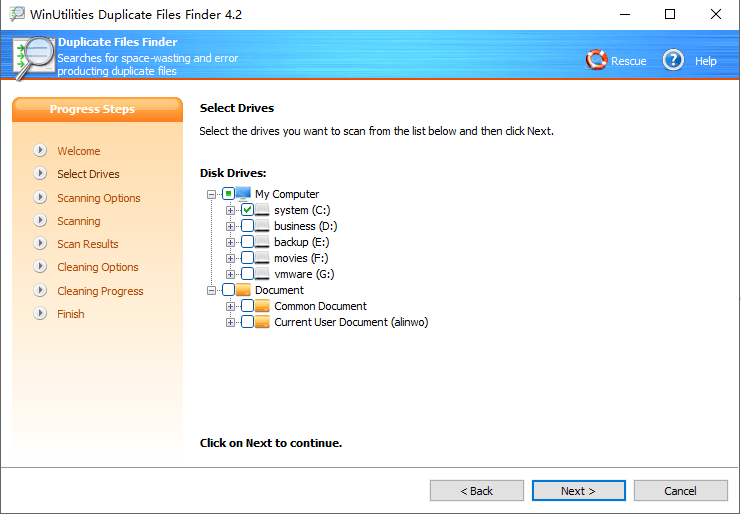 Under these option you have a choice to set criteria for the duplicate file search. 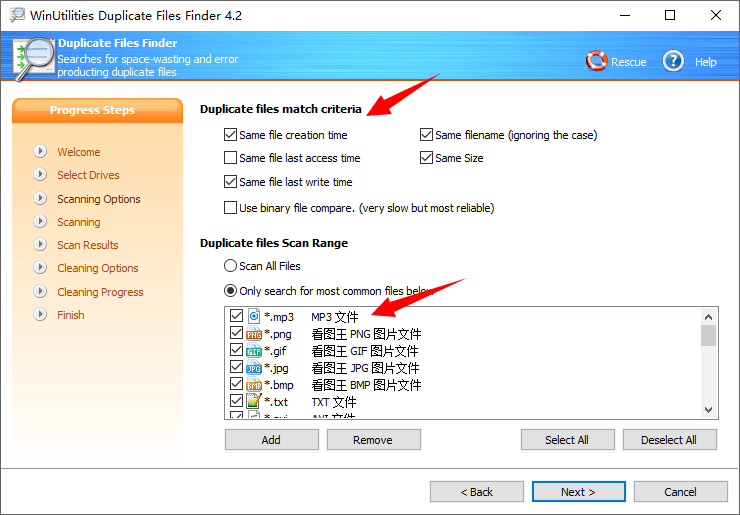 You can also search duplicate files of a particular format by selecting individual file formats under “Only search for most common files” option or can scan files of all formats under “Scan All Files” option. In this page “Skip Folders from Search“, You can customize the search process by excluding certain folders from search. You can skip folders from being scanned for duplicate file just by clicking “Add” button, browse the folder. 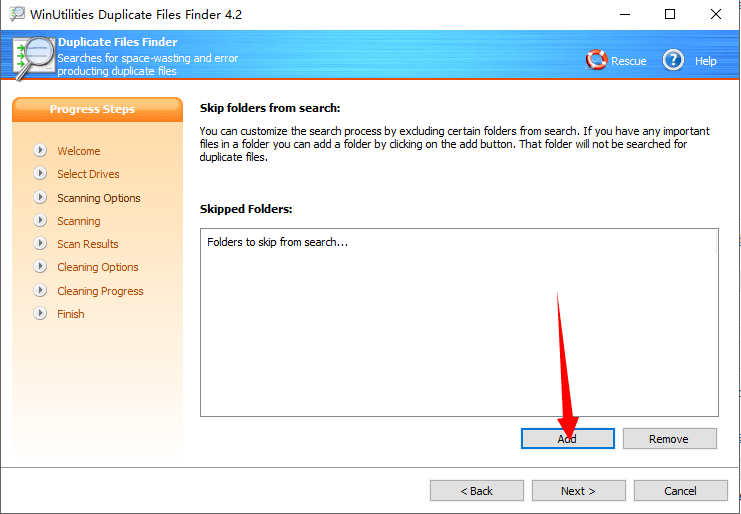 The selected folder will be added to the skipped folders list and will not be considered for search. You can always remove a skipped folder by selecting the folder and pressing the “Remove” button. 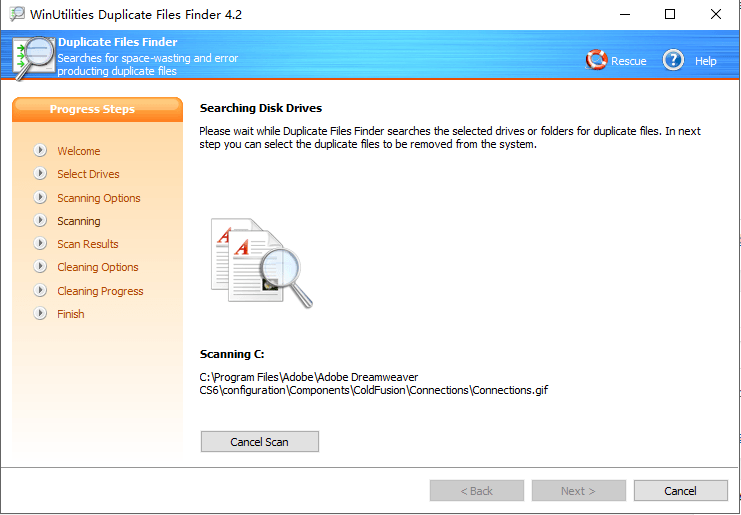 Under this step “Scanning Process” all the duplicate files on your system will be searched relating to the criteria you selected. The progress of the scanning process will be displayed at the bottom via a progress bar. When the scanning process has reached 100% you can move to the next step. 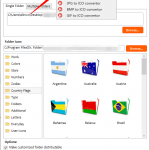 Under this step all the duplicate files will be sorted automatically for your viewing. As soon as the sorting is over you will be shown the summary report. 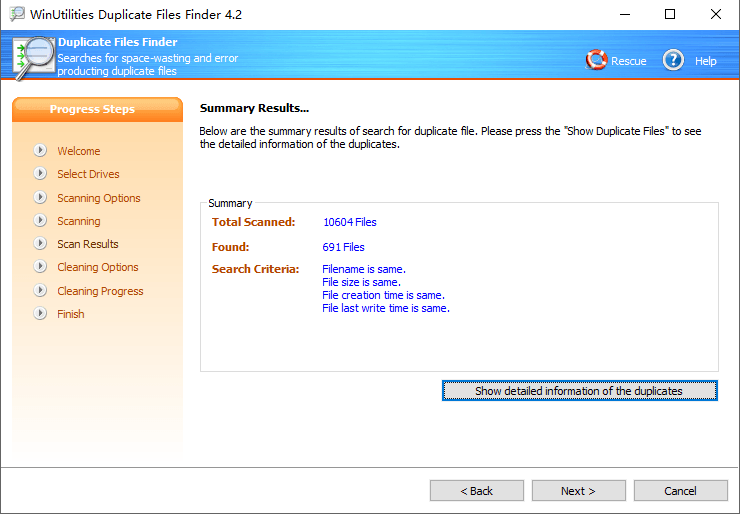 Click “Show Duplicate Files” button to view a sorted list of all the duplicate files found under the scanning process. 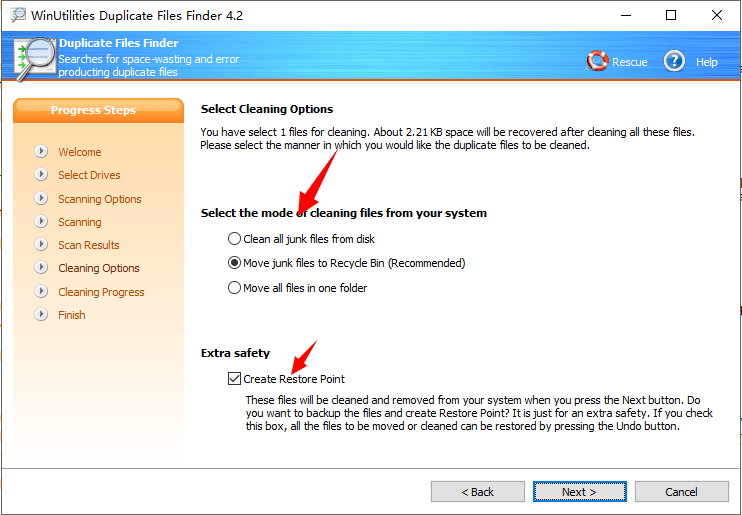 Select the junk files displayed which you want to remove from your system. You can open a file, see its properties and can also explore the path where the selected file is located. 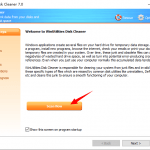 Under this option “Cleaning Options” you get various options to delete the selected duplicate files from your system. You can take a backup of the files, you can move the deleted files to recycle bin, and you can move all the files to a special folder. Done. All the junk files will be removed from your system (as per option specified in Cleaning Options). How to clean the explorer thumbnail cache to free up space? 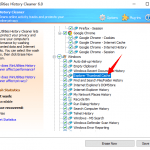 ⟵How to cleans online activity tracks with WinUtilities History Cleaner? Why do you recommend this product? What are the key features of this product?